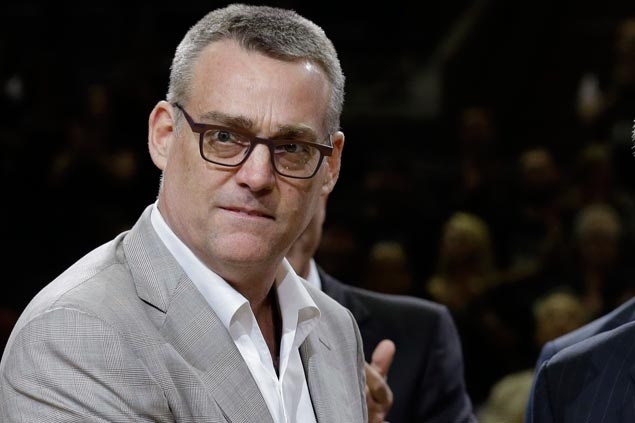 RC Buford wins NBA executive of the year. The NBA announced that San Antonio General Manager R.C. Buford has been named the 2015-16 NBA Basketball Executive of the year for the second time in his career. In his 14th season as the team's general manager, Buford has previously won the award in 2013-14. Buford has earned nine first-place votes, 10 second place votes and two third-place votes with total points of 77. Olshey, Bufford’s opponent, in fact, received more first-place votes (10) but was left off 12 ballots entirely. The vote for the award is provided by other general managers, who are not allowed to include themselves on their ballots. Despite of doing exemplary work for more than a decade next to Gregg Popovich for the enhancement of Spurs into the league's most constantly spirited and outstanding franchise, Buford had never received any year-end award recognition until the 2013-14 seasons, which saw the Spurs win 62 games and, ultimately, their fourth NBA title in 16 years.